The YMCA of the Greater Twin Cities (YGTC), a leading nonprofit dedicated to strengthening communities through youth development, healthy living and social responsibility, encourages all adults 50 years and older to develop behaviors that are crucial to healthy aging, including healthy eating, physical activity and social interaction. In Minnesota, adults 50 and older make up 32 percent of the population. The Centers for Disease Control and Prevention (CDC) suggests that adults 50 and older have a 70 percent chance of developing at least one chronic disease. While these numbers seem daunting, the good news is that making small lifestyle changes that include increasing physical activity, eating healthier and staying active socially can help older adults live better. The YGTC participates in the Silver&Fit and SilverSneakers® programs for Medicare-age members and the YGTC encourages people to check with their insurance provider to determine if they are eligible. 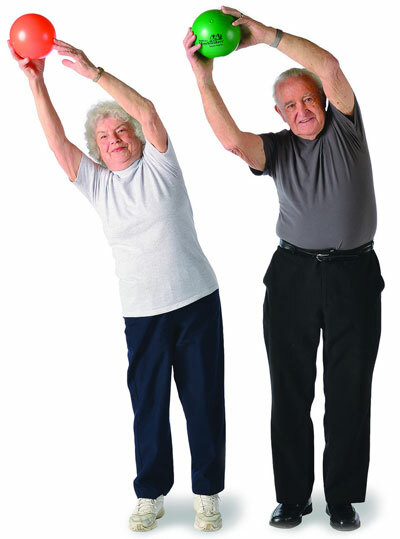 There are many YGTC program offerings for older adults to live healthier including cardio classes like Zumba Gold and line dancing, group cycle, circuit training, arthritis water exercise classes, walking clubs, day trips, recreational activities like pickleball, brain fitness, yoga, chair-based classes to build strength, and educational sessions on wellness topics. Listen to Charlie’s Story to discover how participating in the Y programs for older adults has made a positive impact on his life. One of the state’s largest and fastest growing annual events for older adults is the 9th Annual The Gathering of the 22 branches of the YGTC on September 17 at the RiverCentre in St. Paul. This events brings Y members together to celebrate their commitment to healthy living. There is a health fair, health assessments, educational sessions, and lunch program including musical entertainment and a talent show. Led by the International Council on Active Aging® (ICAA), Active Aging Week is an annual health promotion event that will be held September 21-27 at the YGTC. The weeklong observance celebrates adults ages 50 and older as fully participating members of society and promotes the benefits of leading an active, healthier lifestyle. It also highlights the ability of older adults to live well, regardless of age or health conditions. Each YGTC branch will have activities for older adults to participate in such as outdoor adventures, group walks, pickleball, fall risk assessments and fall prevention speakers. As a leading nonprofit committed to older adults thriving, financial assistance is available to those in need to ensure every older adult has the opportunity to participate at the Y. Learn more about ForeverWell.